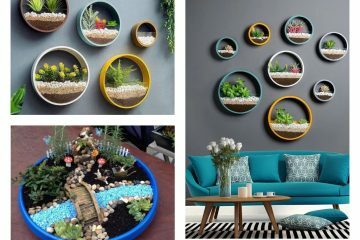 If you are a creative person who loves spending free time making decorative elements for home decor, stay where you are! 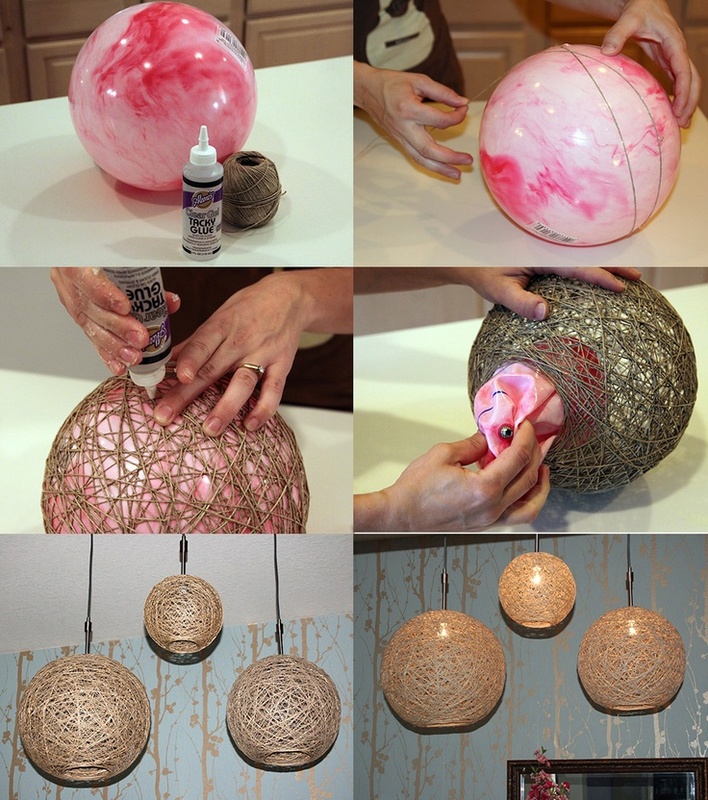 Today is the day when we will give you an inspiration about DIY lampshade ideas that are gorgeous. Read the post, go through images and learn how to make it in your free time and in the easiest way. I promise you that all of the following ideas are great! By the way, check these wall lighting ideas that will keep your heads up, shared on our inspiring website. If you aren’t so creative to make own lampshade choose one of these ideas and decide about the wall lighting in-house interior. The material you will need for making this do it yourself project is the following one: Balloons ( decide about the colour), Corn Starch, Plastic Container, Fevicol, Wide Brush, Colour (any colour of your choice), Petroleum Jelly and the last thing – Twine. 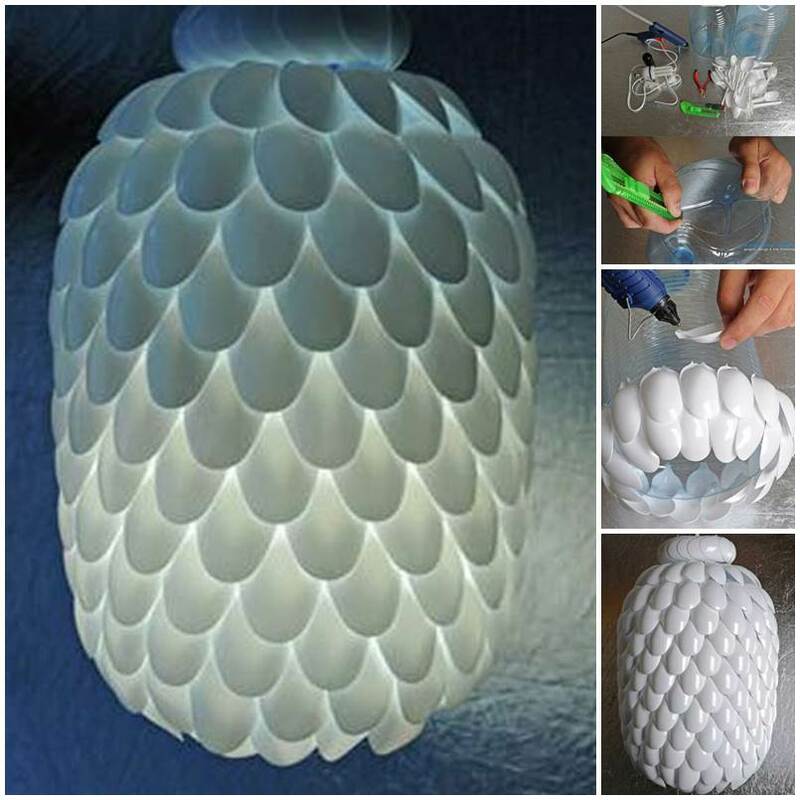 Gather all the material you will need and do this lampshade for a table lamp or make nice hanging chandelier ball of the same material and enlight your home. Check the full process in the first photo of our DIY lamps. 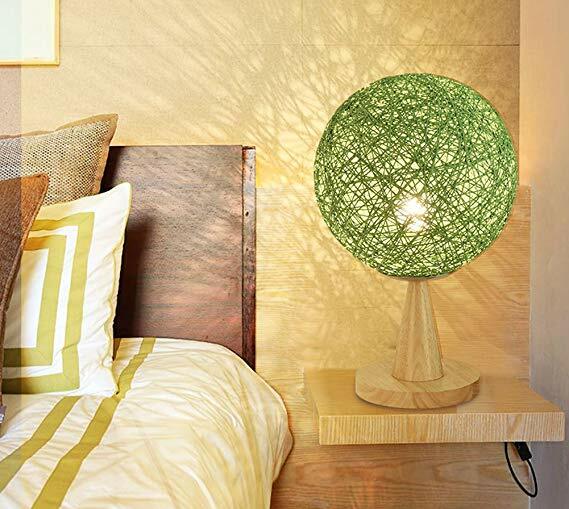 Amazing green twine lampshade made of the same material. 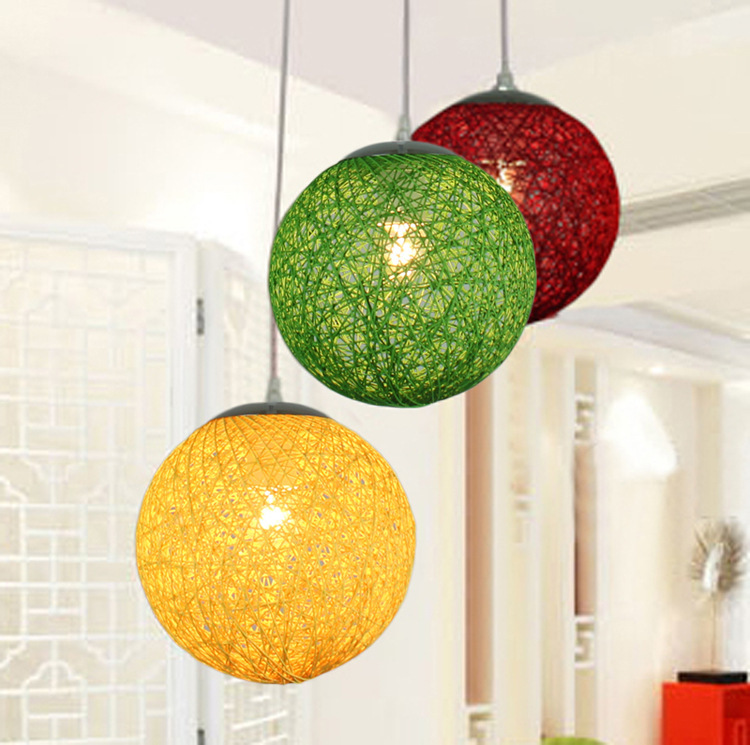 Yellow, green or red chandelier twine ball light fixture? 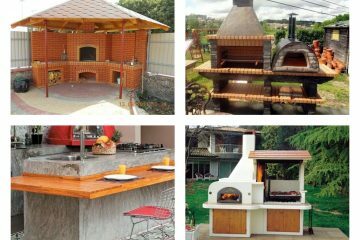 Which one will you choose to beautify your home place? I haven’t the idea that ring pulls can be reused in a so creative way. Collect it, check this process and make it in your free time. 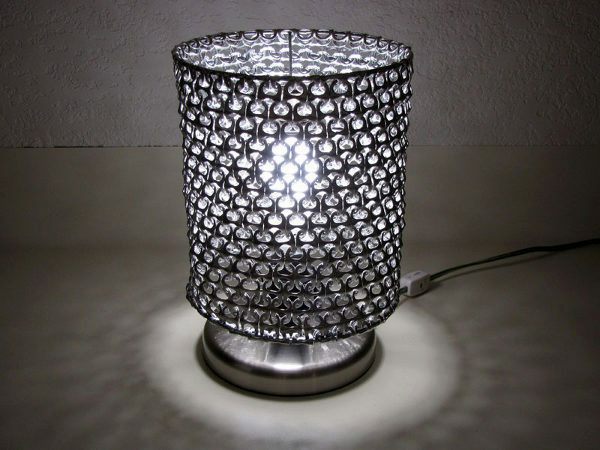 Beautify your nightstand table with a design made by yourself. So, the material you will need for making this craft are ring pulls and tongs. 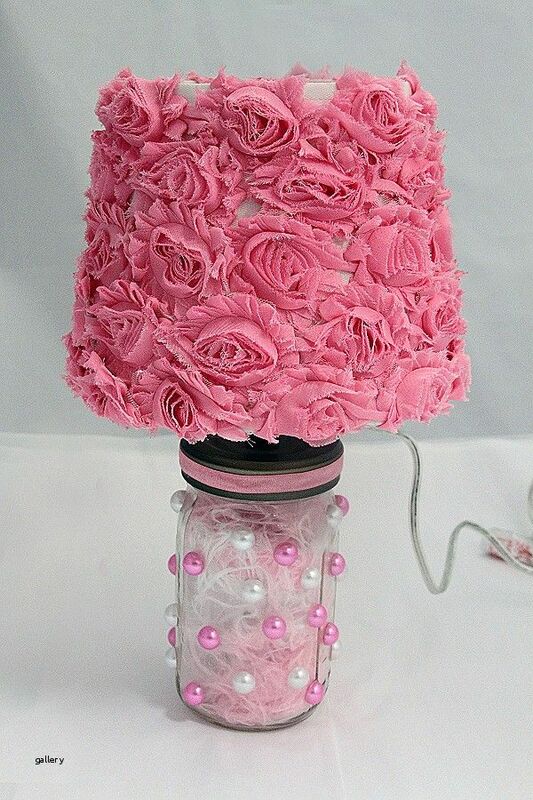 I love this lampshade and I will surely try to make it in my free time, and what about you? What are you waiting for? 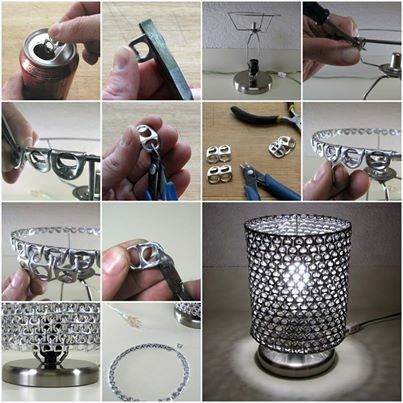 If suddenly your old lampshade broke, make a new one by using our ideas and instructions. 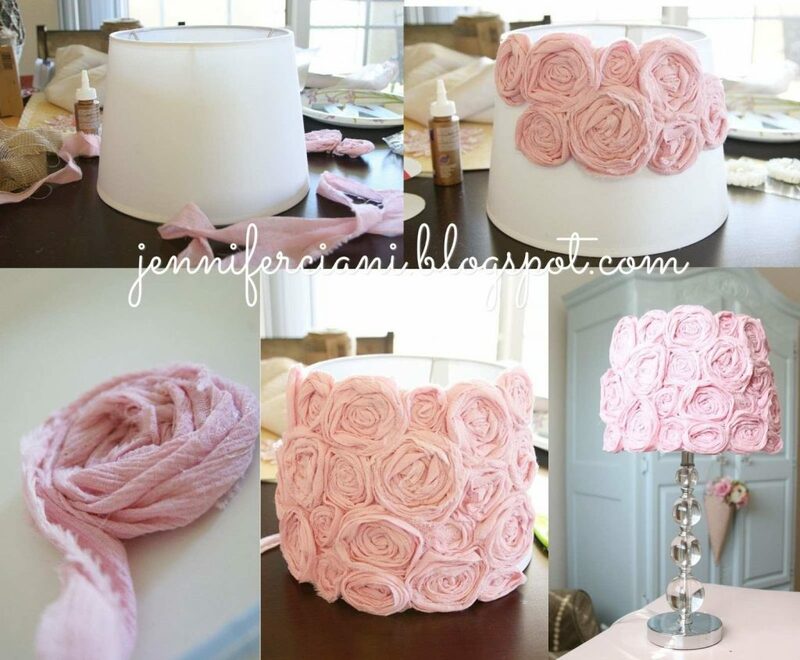 For making this craft you will need one white simple lampshade, lace for making the decor, super glue and a lamp stand. 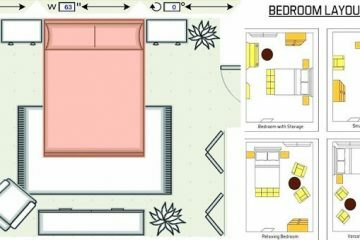 Follow the link below image and find more about how to do this at own home. If you can’t find a suitable lamp stand you can make one by reusing a mason jar, check this photo full with motivation. Gorgeous usage of old plastic spoons. 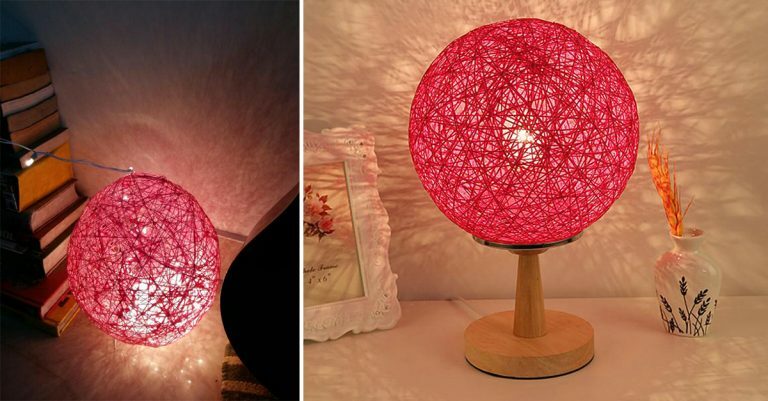 Make a lamp that you will adore it! 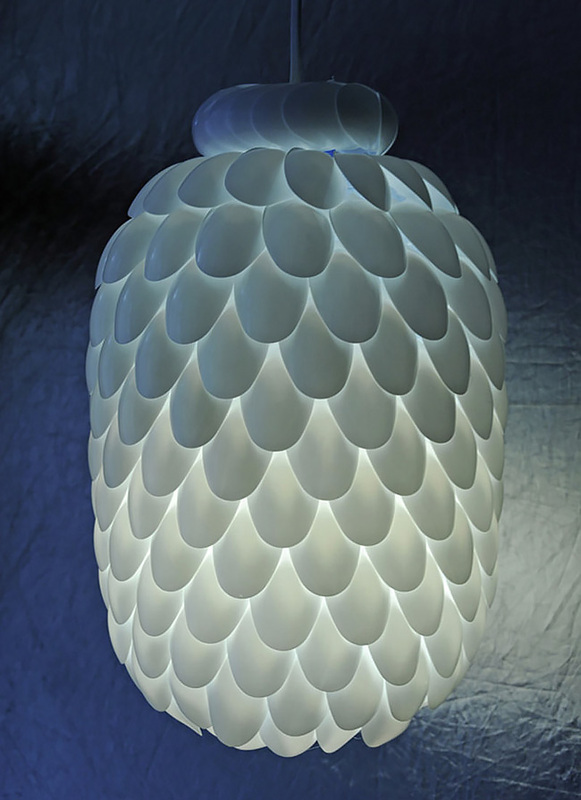 A lamp of spoons, plastic glasses and glue and nothing more! Follow the link below this image and learn about the full project that you can make during the weekend time. Look at this amazing white plastic spoon chandelier, isn’t it amazing?